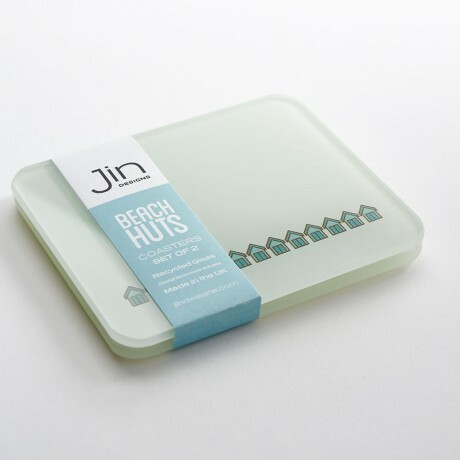 This beautiful coaster set is part of the Beach Huts Collection. It features a clean and simple design with beach huts along the bottom section of the coasters. 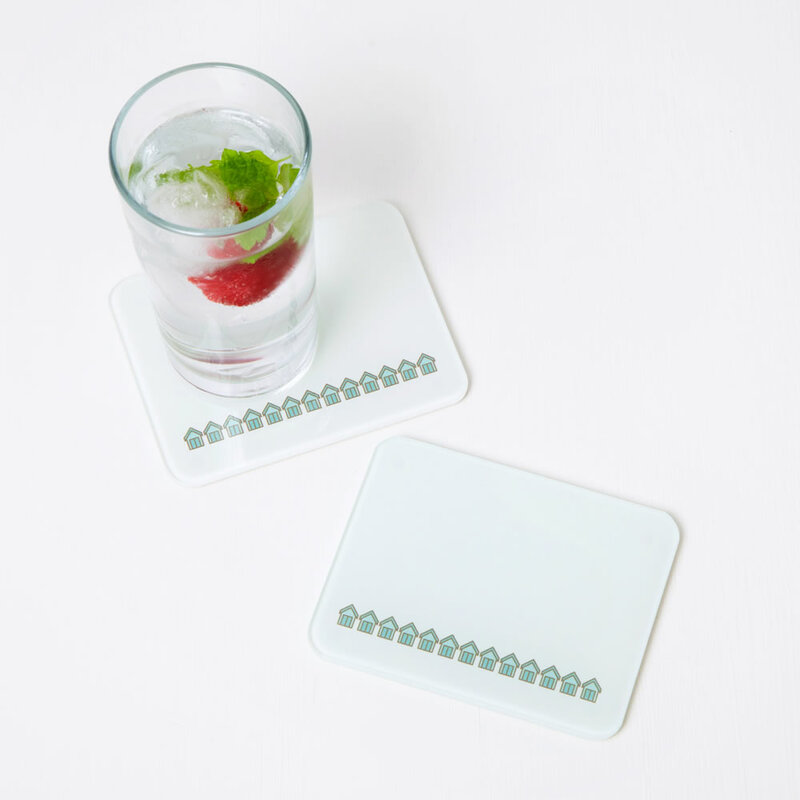 The coasters are rectangle with smooth round corners and made from recycled glass. Designed by Jin Designs. Made in the UK. To maintain appearance wipe clean with a damp cloth. Gorgeous cups. Bought as a present and they went down brilliantly! Fast delivery and excellent quality. 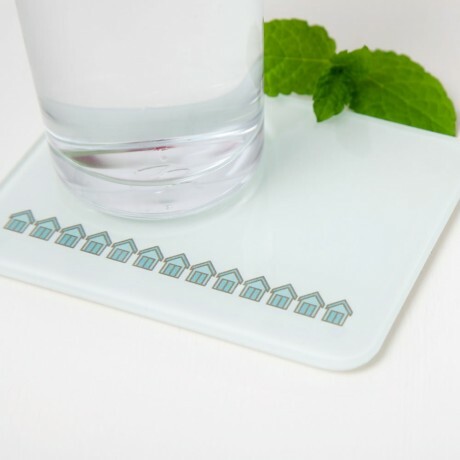 Clean and simple home and giftware.